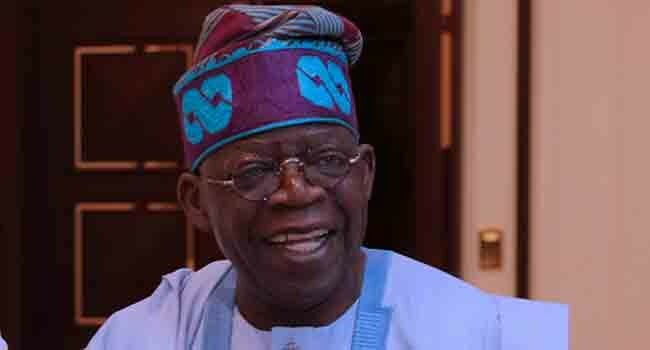 The national leader of the All Progressives Congress (APC), Bola Tinubu, believes Mr Adegboyega Oyetola is the right person to take Osun State to the next level. Tinubu said this at the weekend in Osogbo, the state capital where he solicited support for Oyetola, the APC candidate in the September 22 governorship election in the state. He stressed that with his credentials and competence and the performance of the outgoing governor Mr Rauf Aregbesola, the APC flag bearer was the best man for the job and the one to beat in the race. The APC leader explained that he was backing the insurance expert in order to help replicate the economic and infrastructural development witnessed in Lagos State in Osun. The former governor spoke during separate visits to the palaces of Ataoja of Osogbo, Oba Jimoh Olanipekun, and Owa-Obokun of Ijeshaland, Oba Adekunle Aremolaran, where he sought royal blessings for the party’s candidate. At the palace of Ataoja, he described Oyetola as a technocrat, shrewd manager, and administrator, saying he single-handedly founded and raised his own company to a place of enviable status. According to Tinubu, Governor Aregbesola has laid the infrastructural foundation for Osun and Oyetola will raise its economic and investment profile with his experience and expertise in the corporate world. In his response, Oba Olanipekun thanked the APC leader for the role he played when he had challenges over his emergence as Ataoja of Osogbo. He also commended Governor Aregbesola for his performance in the state, noting that Osogbo particularly benefited from the administration with the network of road and other infrastructure put in place. The traditional ruler asked that if elected, Oyetola should help to further develop the city. Speaking at the palace of Owa-Obokun, Tinubu described the traditional ruler as a foremost author and popular economist who is no push-over in the land. Oba Aromolaran, on his part, requested that if the APC candidate was elected, he should help upgrade the College of Education in the city into a full-fledged University of Education. He also asked that his palace burnt by some hoodlums in 2007 be rebuilt. Tinubu was accompanied on the visit by the Minister of Health, Professor Isaac Adewole, as well as former APC National Vice Chairman (South-West), Pius Akinyelure, among others.